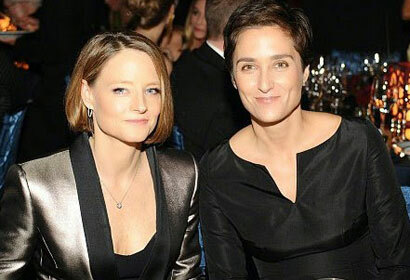 The 51-year-old Oscar winner wed girlfriend Alexandra Hedison over the weekend, Foster’s publicist confirmed Wednesday. Jennifer Allen offered no other details. It’s the first marriage for Foster, who came out publicly in a rambling, heartfelt speech at the 2013 Golden Globe Awards, where she accepted lifetime achievement honors. After saying she planned to make a big announcement that would make her publicist nervous, Foster jokingly revealed that she was single. She said celebrities are now expected to reveal they’re gay “with a press conference, a fragrance and a prime-time reality show,” but her approach had been more personal. Foster acknowledged longtime partner Cydney Bernard, with whom she has two sons. The couple ended their 20-year relationship in 2008. While Foster never hid the relationship, she kept her sexuality private until the Globes speech.